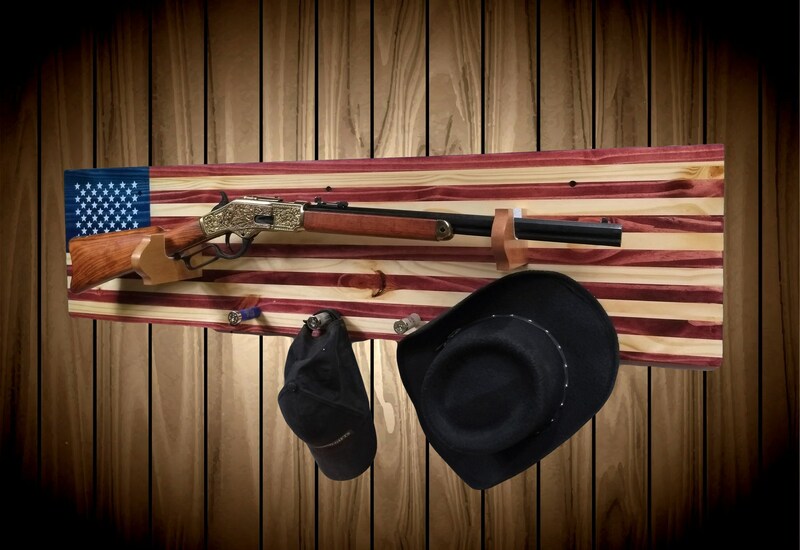 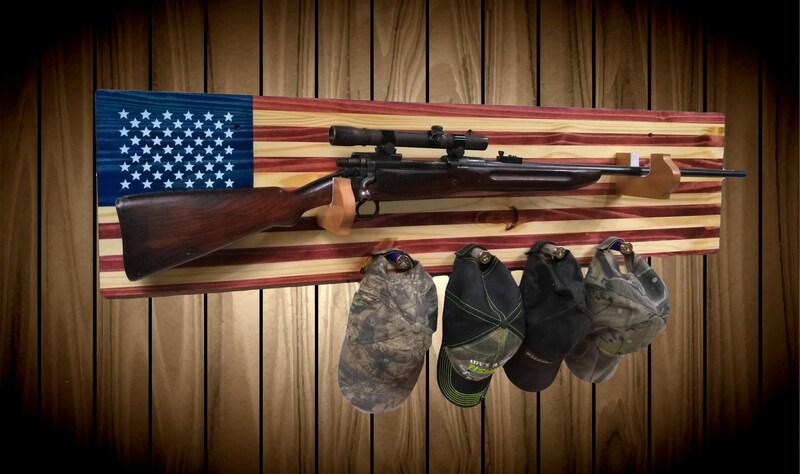 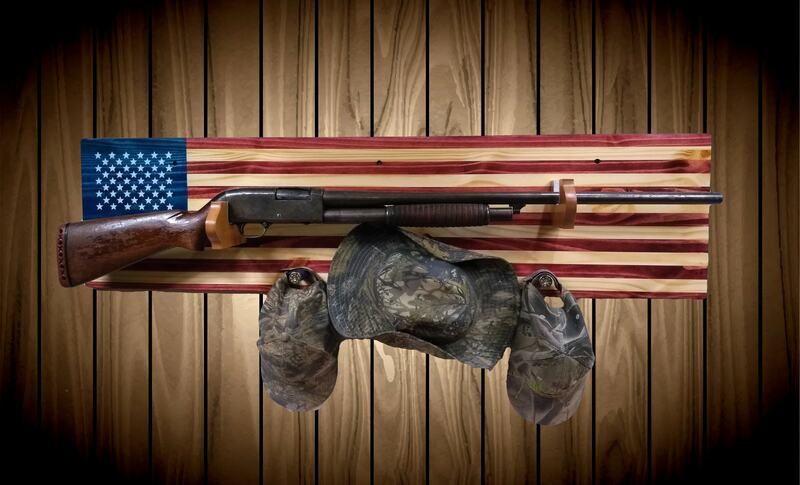 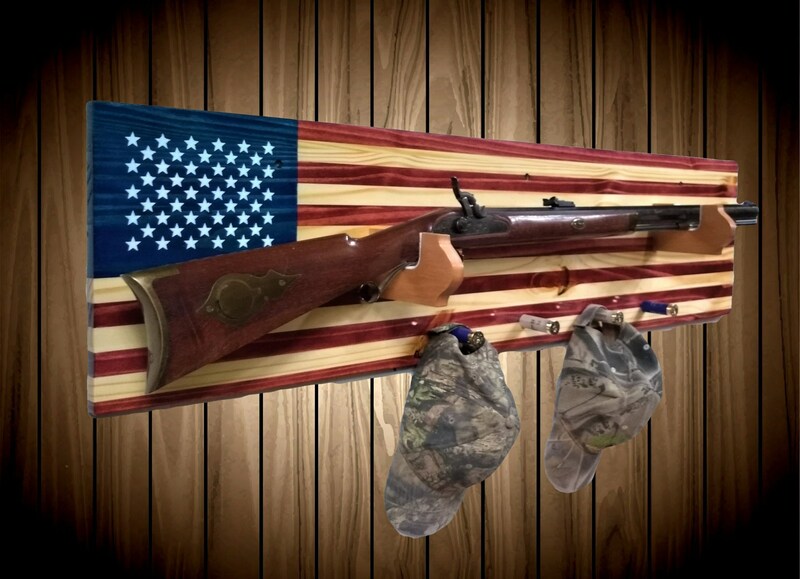 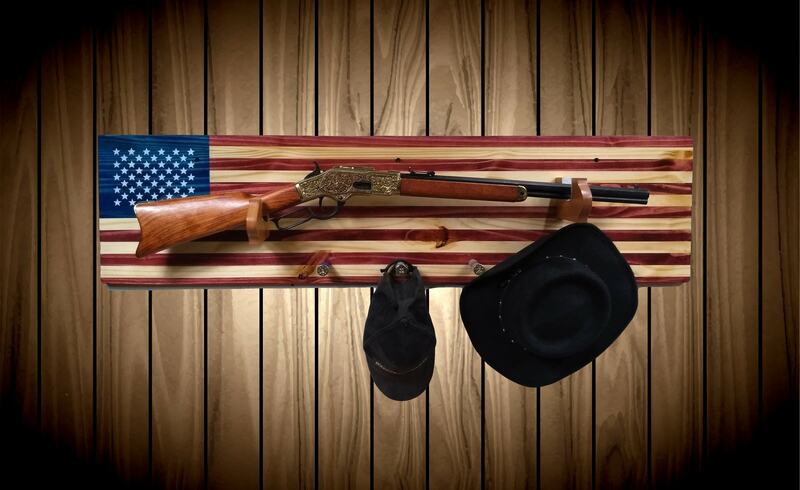 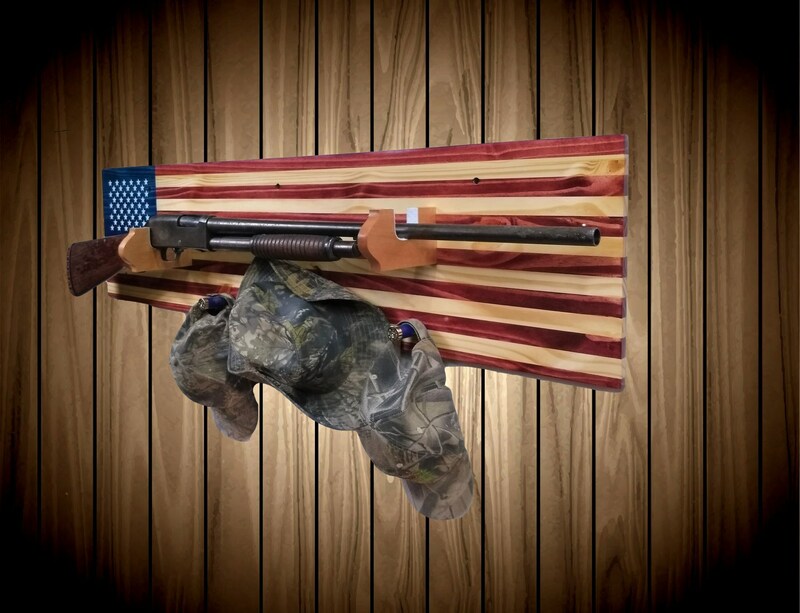 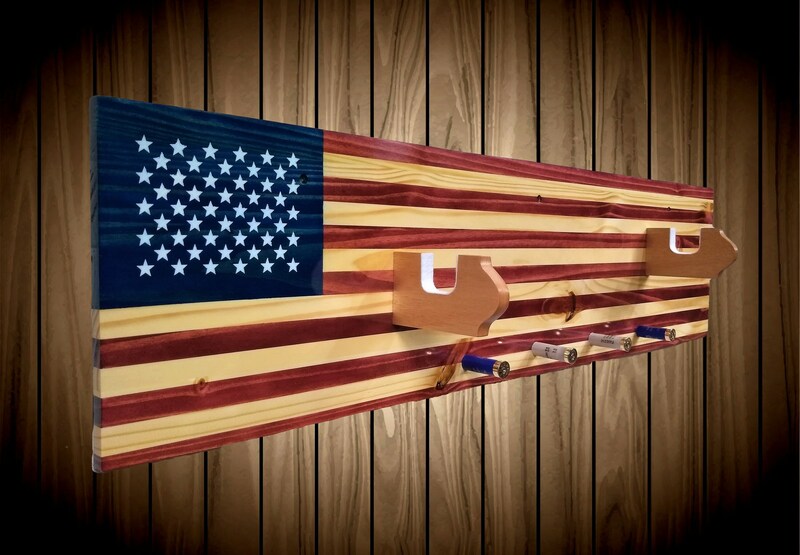 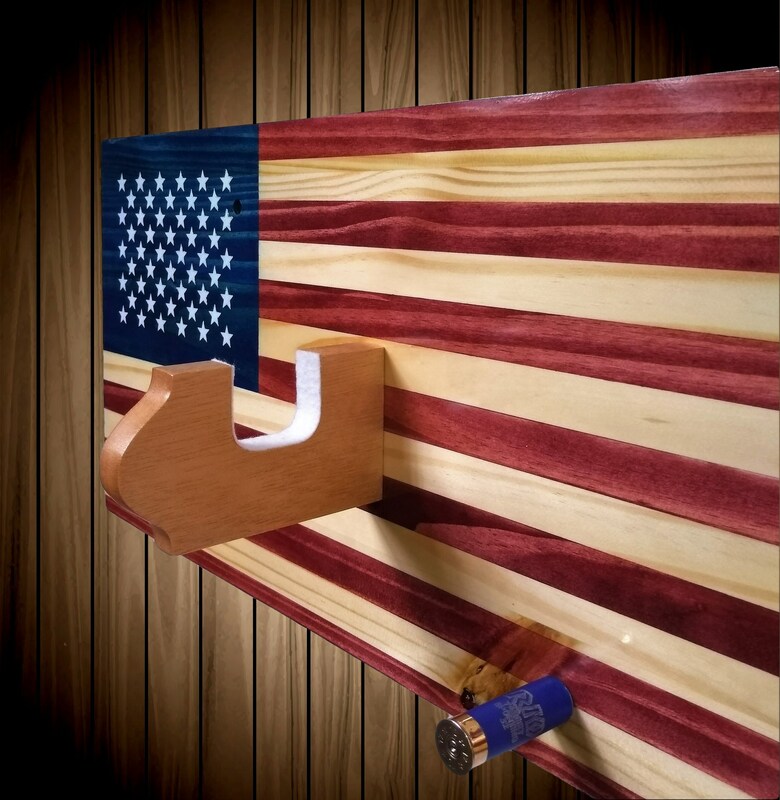 American Flag Gun Rack Stained Red, White and Blue. 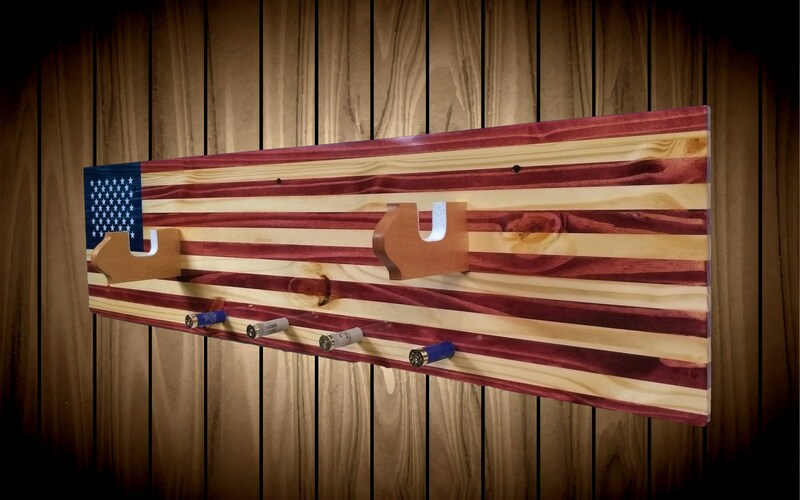 Four Blue and White Shotgun Shell Pegs. 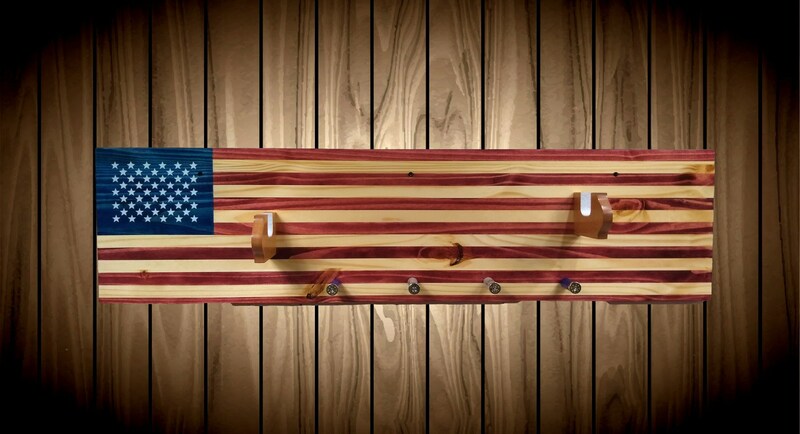 • American Flag Stained On Wood.